Reveal more info about your goods or services for your customers using FAQ widget by Elfsight. Check an informative tutorial on adding and customizing the widget for your website. BONUS: Get your personal FAQ for free! Allow your customers know more about your products or services. The higher their product trust, the higher your conversion. Details about the widget can be seen on the main page of FAQ at Weebly. Don’t waste time on developing, you can install a widget on your own in just several minutes. Enter demo and start setting your widget. After you have set the suitable parameters, click «Join to Install» button. 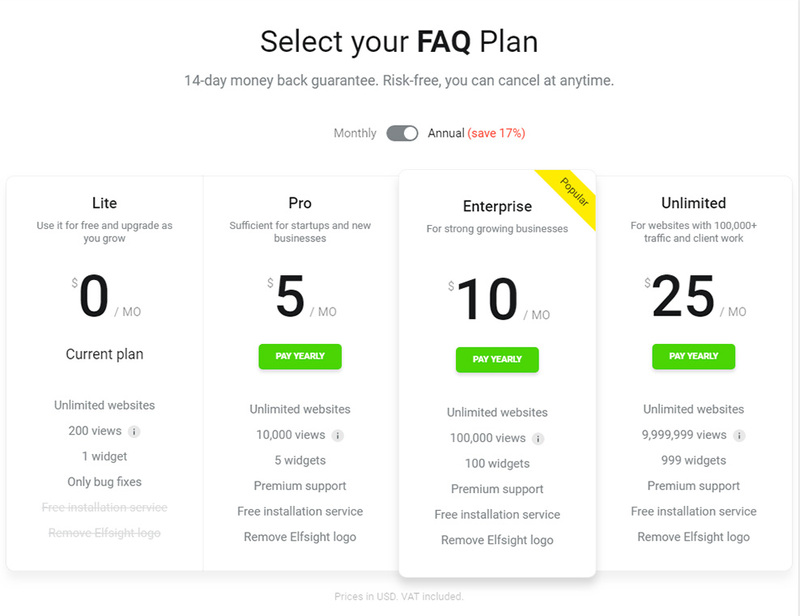 You can choose a free plan as well as one of paid plans, up to premium. 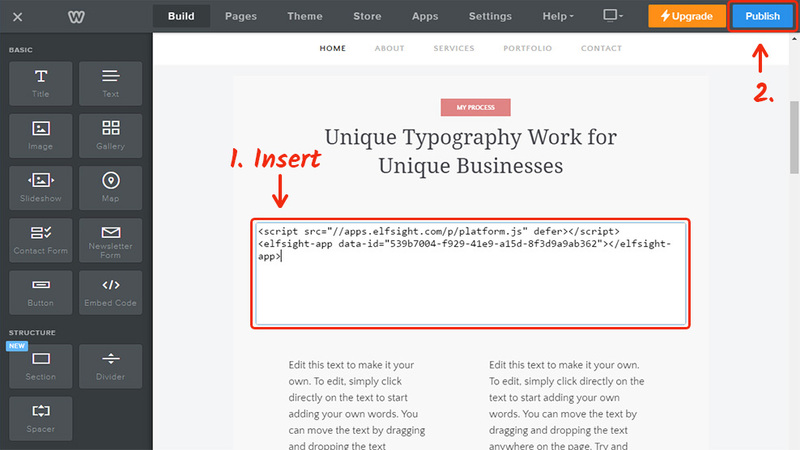 In the pop-up window, you will see a widget script, use it to paste into your site. 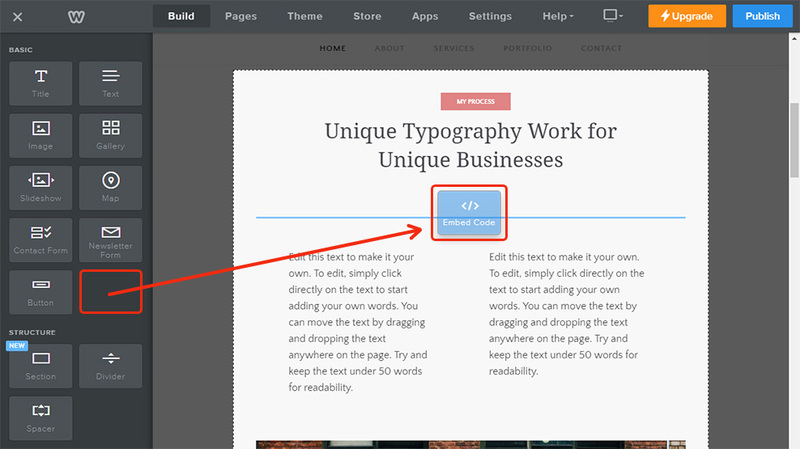 To add widget, you need to adjust the pages of your website. Insert «Embed Code» element to the required place on the page. 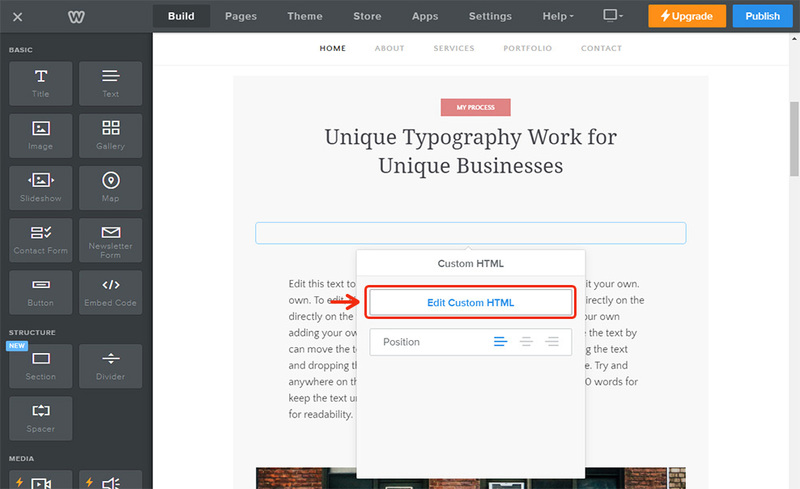 Click the element, follow the link to «Edit Custom HTML». Insert the widget code to the field and save the changes. 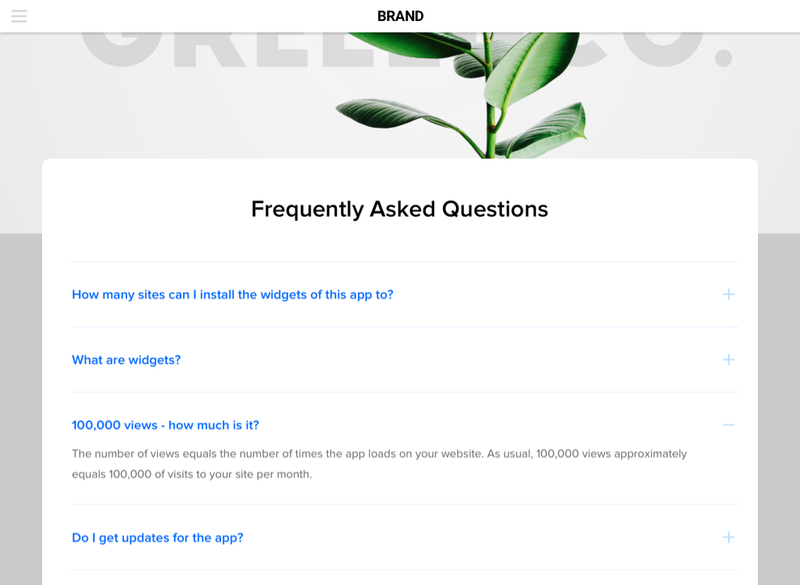 Your Weebly FAQ widget is ready! After you have installed the FAQ widget, you may decide to alter some of the parameters or edit content. Open your page at Elfsight Apps, open the needed widget and change its configuration. Your adjustments will be automatically added to your widget on the website. Mpre details about Elfsight Apps Service? Elfsight Apps is a SaaS service for immediate access to widgets for websites with the help of which you can enhance your personal web resource yourself, quickly and effectively, without experience in web developing or help of programmers. Try your own FAQ for Weebly right now! Free editor for quick creation of modules.